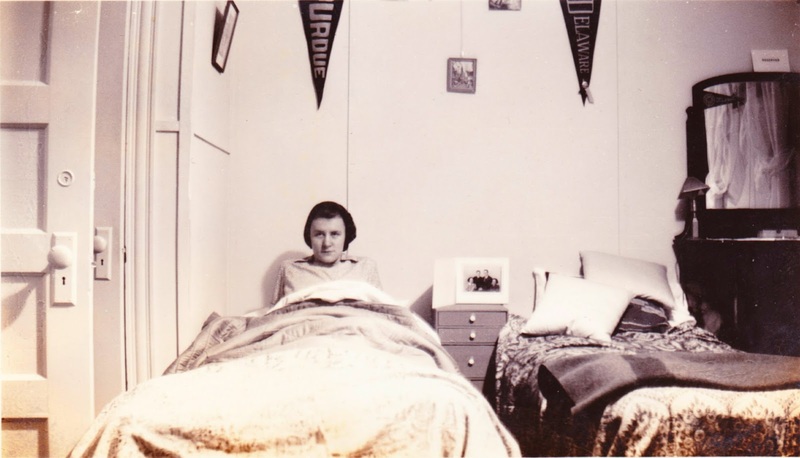 The first of two snapshots features my grandmother, Helen Chandler Adams Ingham (1919-2003), in her dorm room at the University of Delaware, sometime between 1937 and 1941. We'll never know if she was just going to bed or just waking up, but, either way, she appears a little groggy. And here's Mom, Mary Margaret Ingham Otto (1948-2017), at Lycoming College in Williamsport, Pennsylvania, probably in 1967 or 1968. She looks ready to head out to the ski slopes. 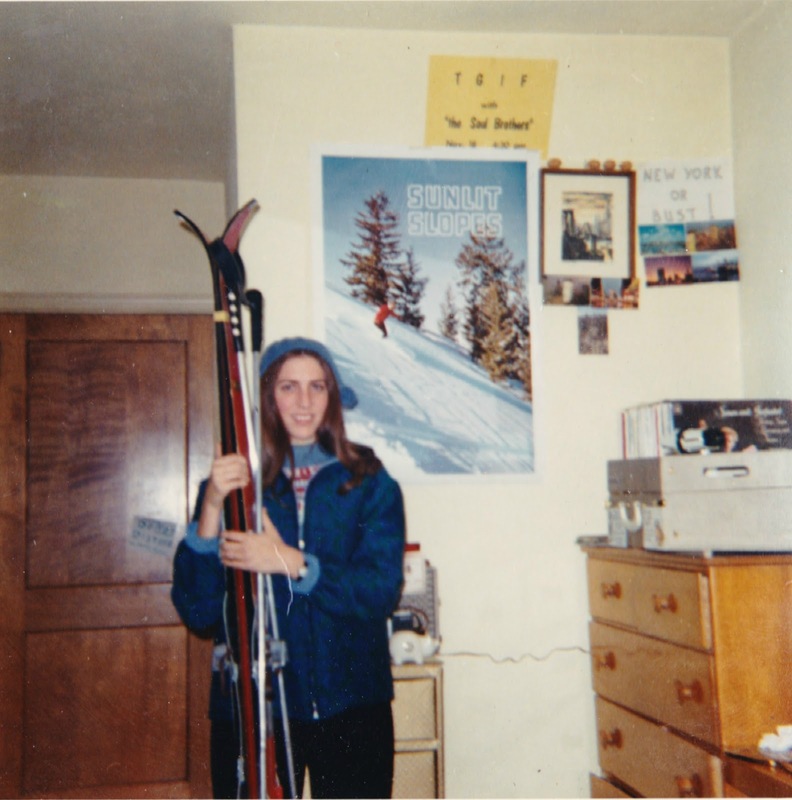 The ephemera on her dorm walls includes a nifty skiing poster, some postcards, a sign that states "NEW YORK OR BUST," and a concert flyer for "TGIF with 'the Soul Brothers'." The vinyl album on the right is Parsley, Sage, Rosemary and Thyme, by Simon & Garfunkel. And that thing sitting in front of the record album almost looks like a model of a Saturn V rocket. What do you think? 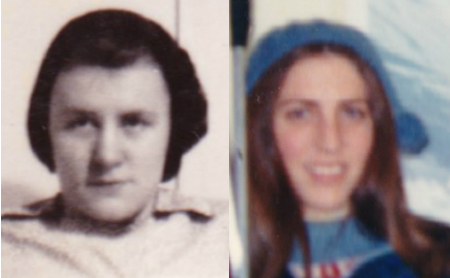 Grandma and Mom are about the same age in these two photos from two different generations. One of them had World War II ahead of her. The other was living in the midst of the Vietnam War, with Watergate ahead.